Top with green onions for garnish and add sriracha for an extra hint of heat in this dish. Per Serving: 398 calories; 15g fat; 41.9g carbohydrates; 27g protein; 62mg cholesterol; 2477mg sodium. 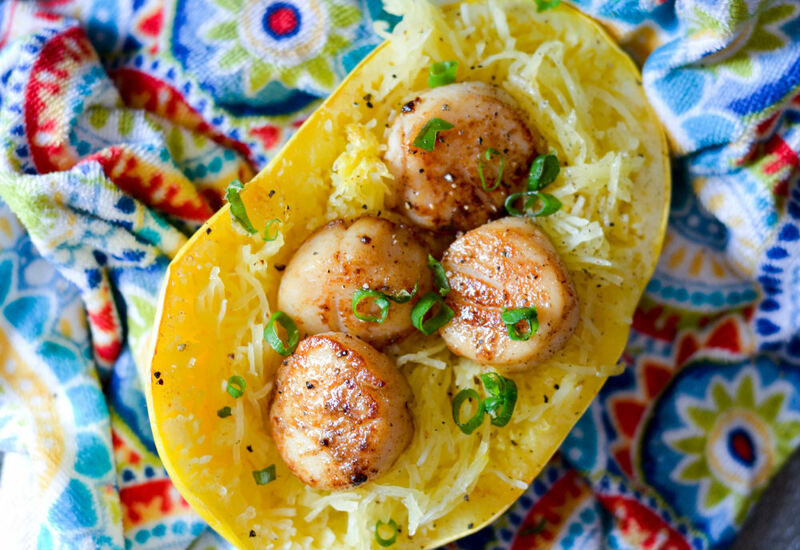 These jerk scallops are amazing. The jerk seasoning alone is very flavorful. I also want to try using it on shrimp. 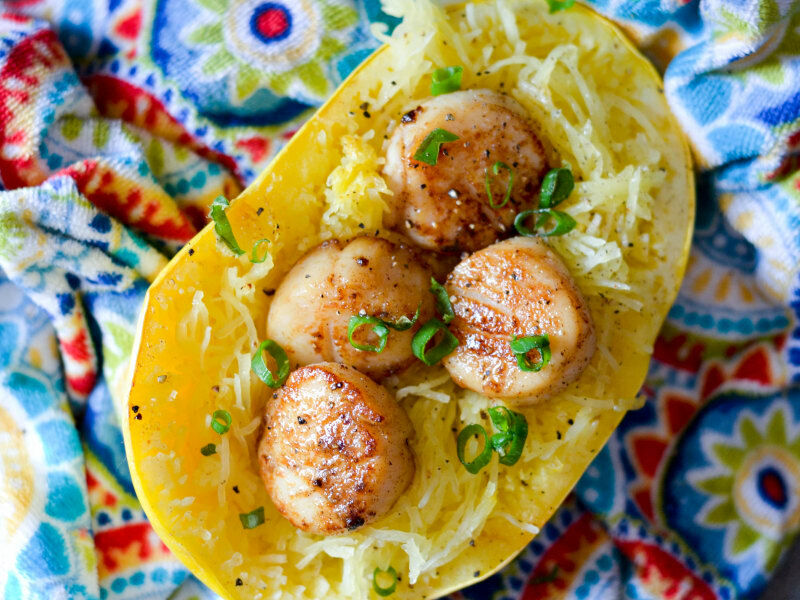 The spaghetti squash was a nice switch from starchy spaghetti noodles. My wife and I love this recipe. The jerk scallops alone were incredible! The flavor was spot on, everything I expected it to be and more. 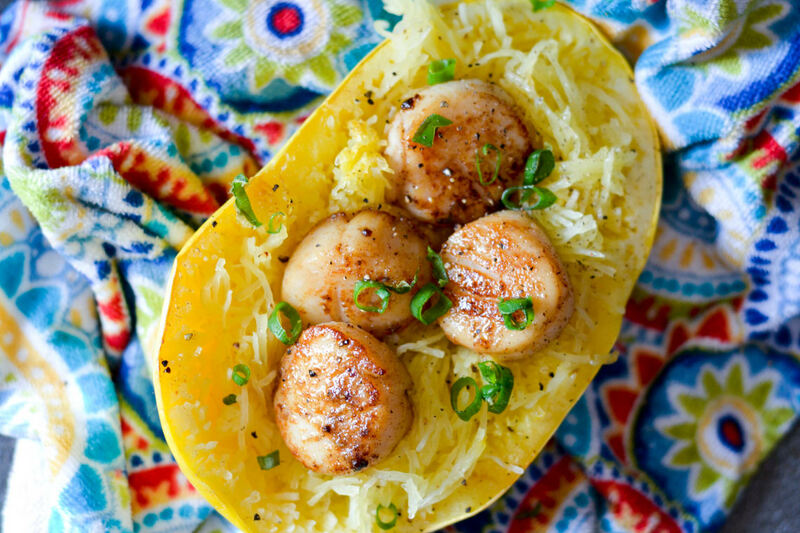 I also liked the healthy spaghetti squash as opposed to using pasta. Definitely one of my favorite lighter dishes.